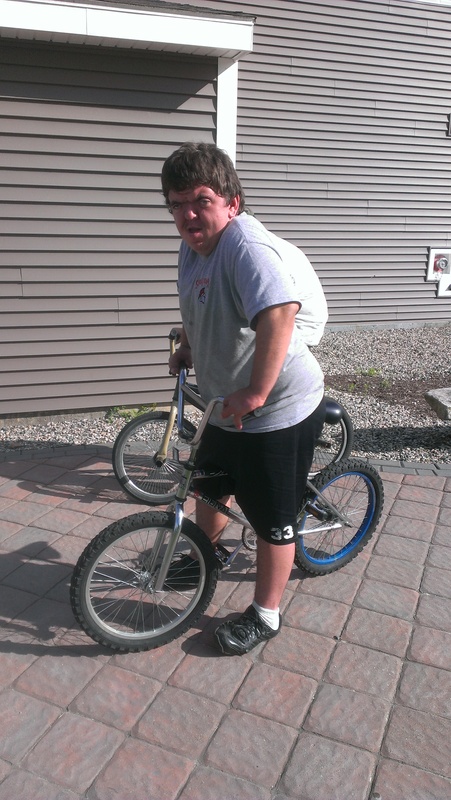 Dylan finished this bike last week and now is enjoying the summer weather on his BMX. Congratulations Dylan! 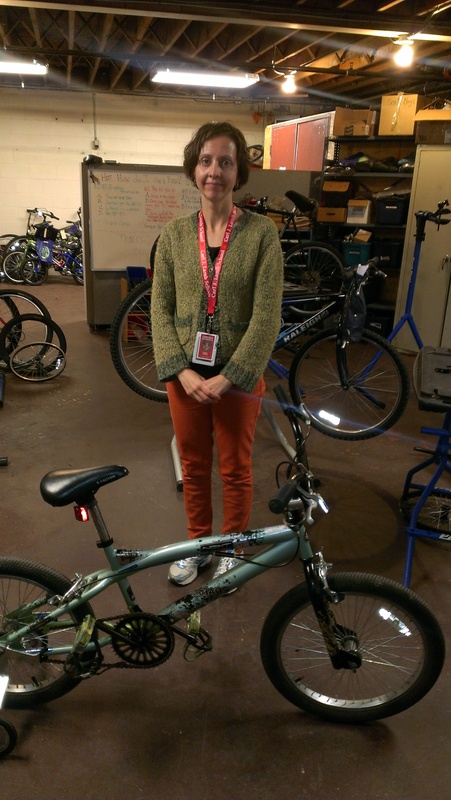 We recently rebuilt a second bike for Ms. Tremblay, a physical therapist in the Sanford School system. The first bike was popular among the students, and we rebuilt a second bike to meet her needs of a way to attach feet to the pedals (hence the toe clips and straps) and hand brakes. We are happy to help! 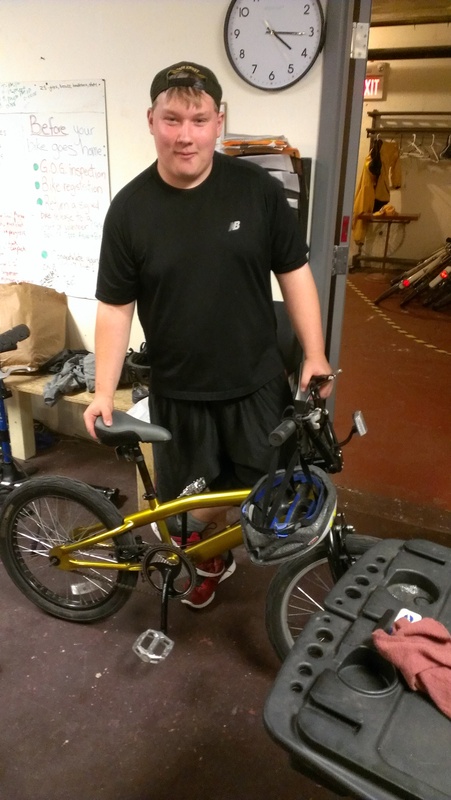 Jacob recently rebuilt this BMX bike and has been proudly cruising the roads of Sanford. Congratulations Jacob! Mobile Repair: Wednesdays 12:00 at Carpentier Park, and other locations. We will be starting bike rides at the Nasson Community Center Wednesday June 5th after school. Please arrive at the bike center in the basement of the Community Center by 2:45 for a 3:00 start. We have bikes and bike helmets to loan out if needed. We will be back in time to leave at 5.